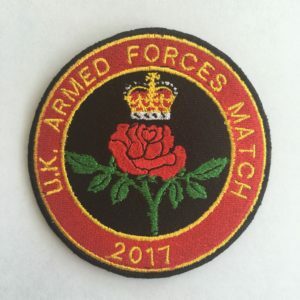 The Armed Forces Match, previously known as the Combined Services Match, takes place annually during the Imperial Meeting and is a English Twenty Club team match against the UK Armed Forces and other National teams who choose to take part (i.e. Scotland, Wales and Ireland). The match is for teams of 12 with three coaches and a main coach. It is traditional that the Captain offers shooting places to those who were selected as Reserves for the National Match. Results are published annually in the Yearbook. The current and previous copies of the Yearbook can be found under the Members menu item of this web site.